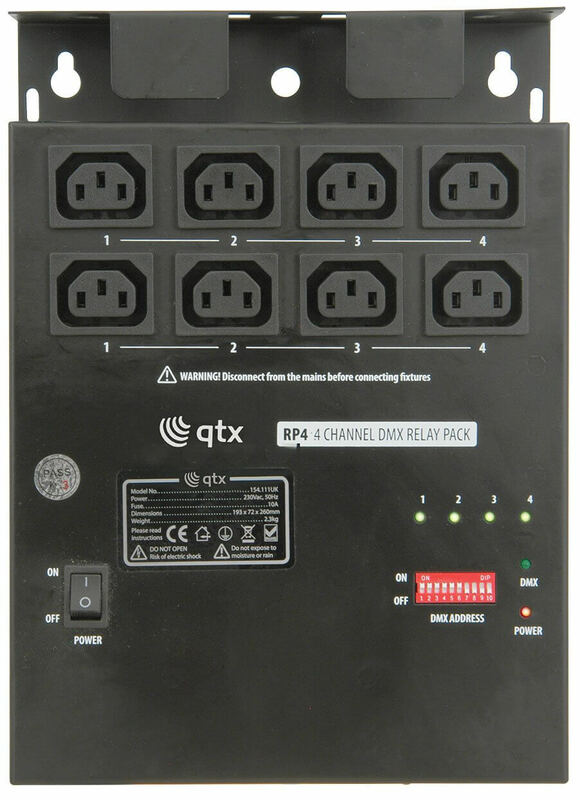 The RP4 4 channel DMX relay pack has 4 DMX channels each with 2 IEC power outputs per channel. It completely turns the power on and off saving energy and preserving the lifespan of your light effects. This is ideal for using with low voltage LED light effects which, when used with dimmer packs, turn on and off randomly with the pulse voltage sent through the system. 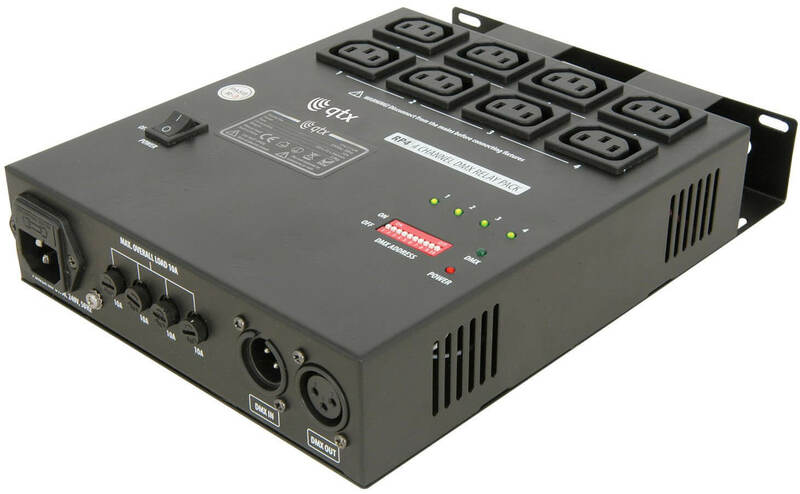 We are very sorry to hear your comments on our service and after investigation we can see that you thought the DP4 dimmer pack you bought would be suitable for LED par cans, but LED par cans with in built DMX can be controlled straight from a DMX desk. With this in mind we have requested a listing revision from Amazon to reflect that these units are not compatible with LED units to help future customers. Please note that we are always happy to offer advice over the phone for our customers when they are looking to buy items from us so we would love the opportunity to regain your custom and offer our expertise and also a discount off a future purchase as a gesture of goodwill.